Welcome to the web site design tutorial section. Web design is a pleasure and we're sure you'll enjoy designing and developing sites with these simple tutorials and tips. These tutorials are easy to follow and fun to do! From website design tips and ideas to CSS Styles, Dreamweaver, Photoshop, Flash and Fireworks and you'll find all you need to know about web design right here! This Responsive Web Design Tutorial will teach you the basics of responsive design and how to create a simple responsive website. You will learn how to re-use our css styles and Html to create a single website that works across different device platforms. This tutorial will show you how to create a simple Html5 website using HTML5 and CSS code from the scratch. 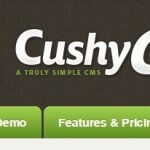 In this video and text tutorial you will learn how to add a CMS (Content Management System) to your Static HTML website. To create a website, you could use a website builder, or a website template, or choose the custom web design route. In this tutorial you will learn how to design a vibrant and attractive website in CorelDraw. In this tutorial you will learn how to design a fun and colorful designer web layout with CorelDraw. in this tutorial you will learn how to create a website using HTML and CSS Styles. How to Create a Flash Website using Flash CS5. This is part of a 6 part tutorial series on designing & developing a website from scratch in Photoshop and Flash. 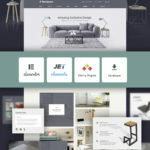 Web Design Trends - New!